Ever wondered what goes into making a movie? Have specific questions only a working professional filmmaker can answer? No problem. 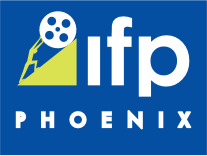 The College Filmmaker Panel at the Phoenix Film Festival gives full access to working filmmakers with films in the Phoenix Film Festival. Find out how they got their ideas, what problems did they run in to during shooting, and how they got their first job. Ask away! Tickets are $10 per student.. Teachers and chaperones are complimentary when bringing their class.